Company Name: New Otani Co., Ltd. 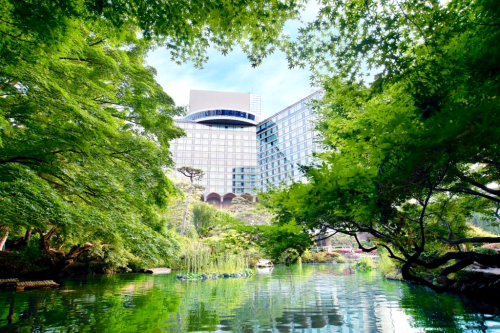 The Hotel New Otani is an urban hotel in a quiet area, away from the bustling city center, surrounded by a 10-acre Japanese garden dating back to the 16th century. 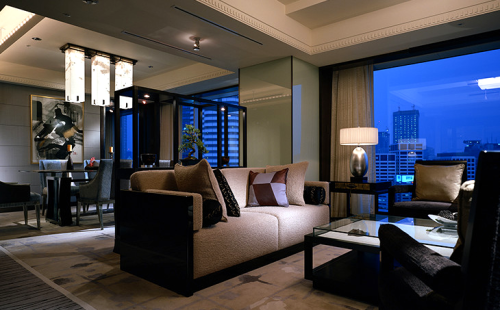 The Hotel complex is comprised of three different hotel types – “EXECUTIVE HOUSE ZEN“, “The Main” and “Garden Tower” – and the Garden Court, featuring office functions. A variety of restaurants, banquet rooms, and shopping arcade respond to diverse needs. Decorated with soft elegance, the rooms include a flat-screen TV with satellite channels and a minibar. 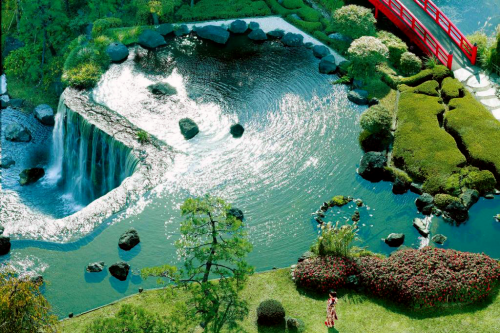 Some have views of the hotel’s Japanese garden or the Tokyo skyline. Guests can experience Japanese culture at the tea ceremony room. Relaxation options include a sauna and spa with massage service. The Hotel complex is comprised of three different hotel types below. A high-rise tower with an extensive lineup that caters to various needs and purposes. 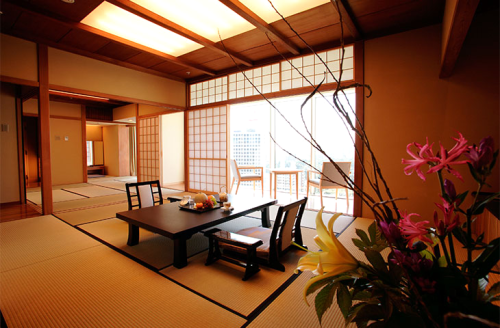 EXECUTIVE HOUSE ZEN – Suite : Garden Suite MUSOU-AN – The interior of MOSOU-AN is an elegant combination of stylish and traditional. The classic colors of black, purple and gold, signifying dignity in Japan, are stunningly blended with contemporary designs. 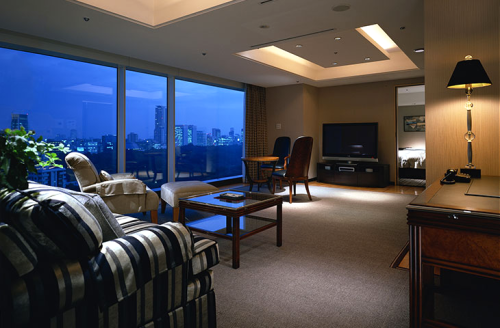 The sophisticated living rooms are furnished with authentic Japanese décor-ceramics, glassware and natural materials. The peace of mind brought about by the essence of the ZEN spirit is, indeed, an ultimate form of luxury and satisfaction. 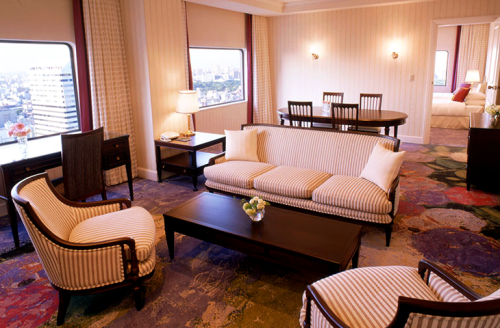 New Otani Garden Tower – Suite : Duke Suite – Calming and tasteful color schemes create a therapeutic atmosphere, and connectable adjacent rooms offer flexibility. New Otani Garden Tower – Standard Twin : – Ideal for families with a capacity of up to 3 persons with an extra bed, and also a connectable adjacent room. Hotel New Otani features an incredible 32 dining options, ranging from international cuisine to authentic Japanese dishes – everything from French and Italian to tempura and teppanyaki. The Sky Restaurant offers revolving panoramic city views. 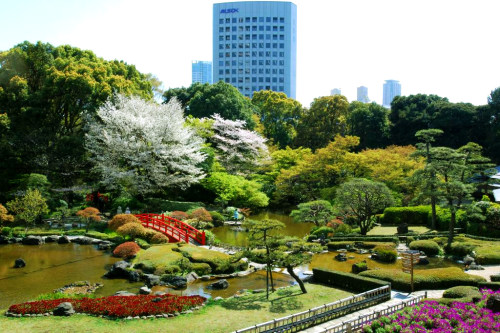 A large Japanese garden is one of the most renowned gardens in Tokyo and you can enjoy both Japanese tradition and culture. 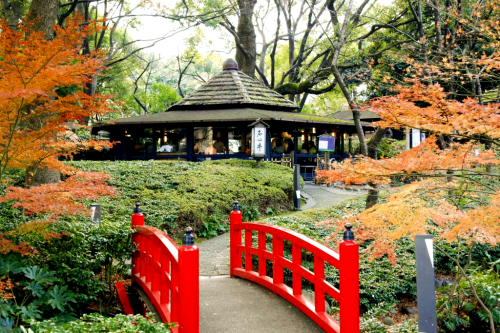 The Hotel New Otani’s symbolic Japanese Garden boasts a history of more than 400 years. With various trees and flowers entertaining the strollers from season to season, it is an oasis in the center of busy Tokyo. Selected in TripAdvisor’s list of top 20 “Best Free Attractions in Japan” for three consecutive years. A downloadable map of the garden is available to help you explore and discover its highlights. 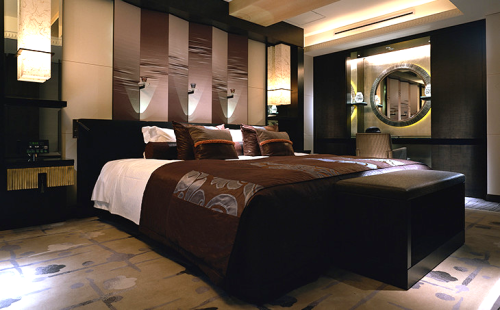 Hotel New Otani Tokyo is in central Tokyo and has comfortable accommodations less than a 10-minute walk from 5 subway lines. 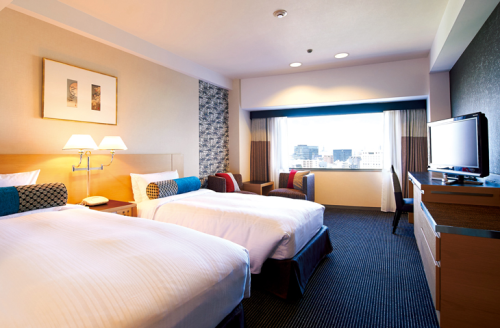 Hotel is just 950 feet from Akasaka-Mitsuke subway station. From this station the Ginza, Shibuya and Shinjuku areas can all be reached in less than a 10-minute subway ride.